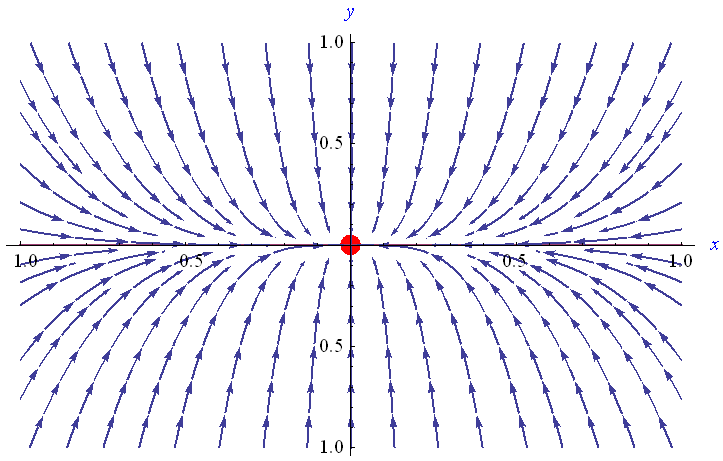 Plotted with a large number of initial conditions, we see that all solutions converge to \((0,0)\), which is a stable equilibrium point for the system - a sink. 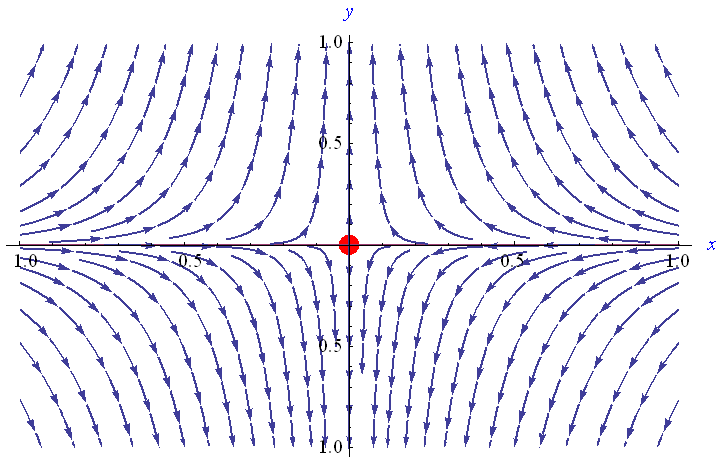 Again plotted with a large number of initial conditions, we see that all solutions apart from \(y=0\) flee the point \((0,0)\) which therefore is an unstable equilibrium point for the system - a saddle. Again most solutions flee the point \((0,0)\), which therefore is an unstable equilibrium for the system. 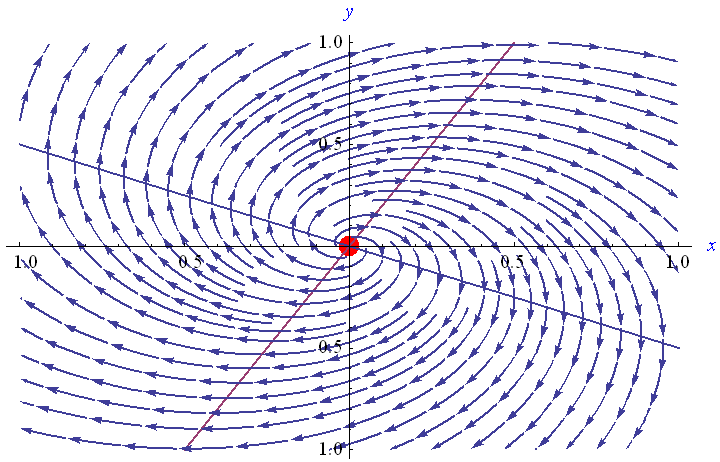 Solutions flee the point \((0,0)\) in a spiral mode. 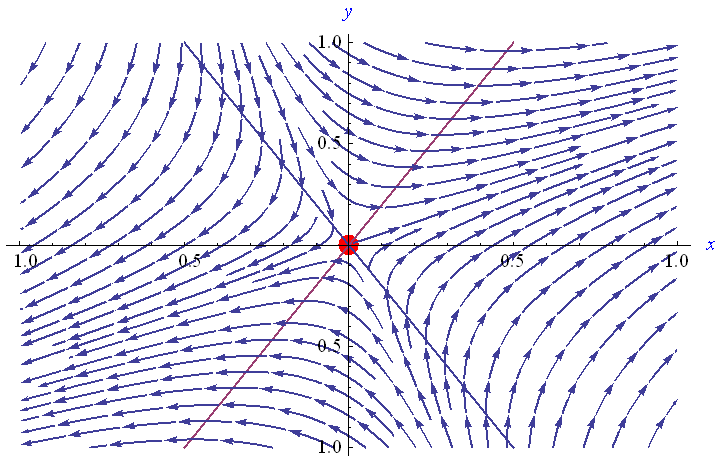 Again \((0,0)\) is an unstable equilibrium for the system - a source. 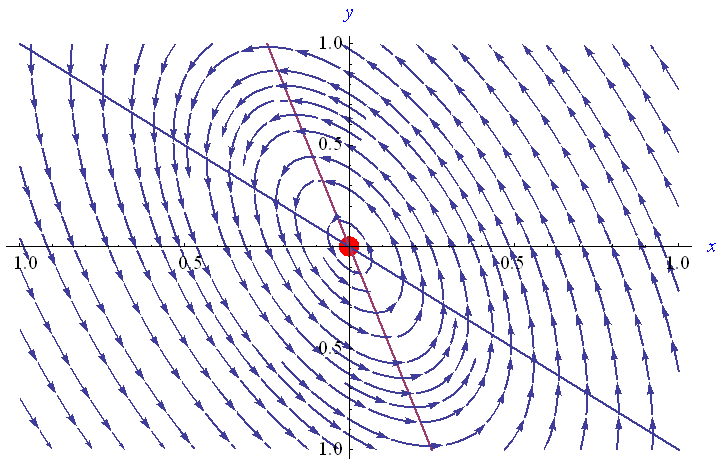 Solutions circle around the point \((0,0)\), which is a center for the system.